Browse the local artisan and handicraft shops lining the intricate spiral of narrow streets and stone portals of the medieval Porto Maurizio quarter before heading off to the olive museum to learn about the history of the olive tree and how olive oil has been made throughout history; while away a relaxing afternoon sunbathing on the terrace of your luxury hillside villa and then head off to San Remo for a fun evening at the casino followed by a seafood dinner in one of the fish restaurants down by the old port; treat yourself to a boat trip around the beautiful rocky coastline before coming into town to feast on a delicious lunch of focaccia with fresh tomatoes and garlic and homemade gnocchi with Ligurian pesto washed down with a chilled glass of the local white wine. 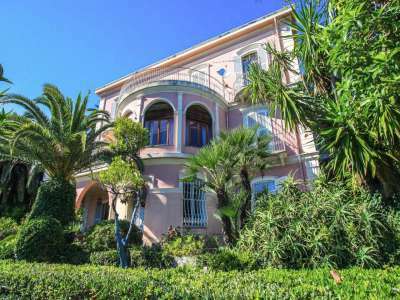 Located just over the French border on the Italian Ligurian coast and blessed with warm, fresh summers yielding to mild and bright winters, there is an excellent range of Imperia property for sale offering investors the opportunity to become part of this historically rich and diverse region. From the sparkling Mediterranean Sea to craggy snow-capped mountains, green valleys and undulating hills, the diverse region of Imperia is famous for its olives, olive oil and flowers. The capital – also called Imperia – looks over its large harbour crammed full of small fishing boats and large sleek yachts and is surrounded by hills covered in the colourful orange buildings of the city. With a charming medieval old town full of wonderful 18th and 19th century grand houses, a classical cathedral which is the largest in the region, 'Villa Grock' – a clown museum named after the famous Swiss clown Adrien Wettach, some rather exclusive shops in the elegant arcaded Via Bonfante and a good array of beautiful beaches the city has much to offer. Further along the coast is San Remo – bursting with Riviera-style grandeur, this seaside resort has a casino, restaurants and a vibrant night life. It is also locally called the 'City of Flowers' for its colourful summertime blooms. There are numerous opportunities to hike or take a mountain bike through the network of trails winding their way through the countryside and there is also a Garden Trail which brings together nature, art and culture throughout the region. Imperia has always been popular with foreign visitors and international property buyers; northern European artists and intellectuals have been visiting since the 19th century and the region has never really dipped in desirability since. This is good news for Imperia property as prices remain high with the year round climate ensuring a highly stable rental market which makes Imperia property a great investment. There is a wide range of Imperia property for sale to suit all tastes and budgets ranging from contemporary new build apartments overlooking the medieval old town, luxurious villas with private gardens high on the hills surrounding the city and renovated stone houses and farmhouses in the surrounding countryside. There are a number of new residential developments in Imperia city where a two bedroom modern apartment with modern bathrooms and kitchens, large balcony overlooking the city and shared parking would be in the region of 350,000 EUR. Elegant villas with private gardens and sea views come in all shapes and sizes with prices starting at 750,000m EUR and going up to around 2m EUR. 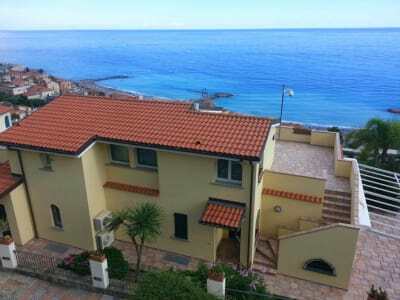 For example, a newly built three bedroom villa with infinity pool and surrounded by olive groves would be in the region of 900,000 EUR or how about a three bedroom luxury villa located in the hills above Imperia with huge sun terrace, lush landscaped gardens, parking and fabulous views of the sea for around 1.8m EUR. Imperia property also has a good range of penthouses and apartments for sale both up in the hills and down near the water and typically range in price from 120,000 EUR up to 500,000 EUR depending on location and size. For example small one bedroom apartments right by the sea start at around 110,000 EUR whilst a completely renovated two bedroom period apartment right in the old town with sun terrace and harbour views would be around 470,000 EUR. There is also an excellent range of Imperia property to be found in the surrounding countryside away from the coast. A newly restored two bedroom stone cottage with balcony and large sun terrace with breath-taking views of the surrounding valley and olive covered hillsides in the village of Borgormaro can be found for around 200,000 EUR. Similarly a renovated 18th century three bedroom house with sun terrace, garden and swimming pool with fabulous views over the green rolling hills of the Argentina valley would cost in the region of 250,000 EUR. Imperia property provides investors with the perfect opportunity to buy a property on the Italian Riviera and enjoy the 'Dolce Vita'. Whether you decide to buy an elegant villa with swimming pool and sea views, a modern apartment near the sea or an old renovated stone house deep in the Ligurian countryside, Imperia makes a perfect holiday and investment destination.